Jung Logistics Inc. is a national shipping company and express freight services carrier with over 25 years of experience specializing in time-critical, general commodity cargo. Running 24/7/365 with live dispatch, our nationwide carrier network serves the continental US and Canada with both expedited ground service and air cargo charter services. Our 98% on-time delivery record is assurance that everything we do is directed towards being traceable, accountable and reliable. There's an underlying perception that expedited freight is expensive by its very nature. But we know that needn't be the case if the company you use is committed to service, connected with resources and calculated for efficiency. Through our proven track record of 98.6% on-time efficiency, we will help you maintain your integrity, and your relationship with your customer base. Contact Jung Express today for a freight shipping quote or more information. 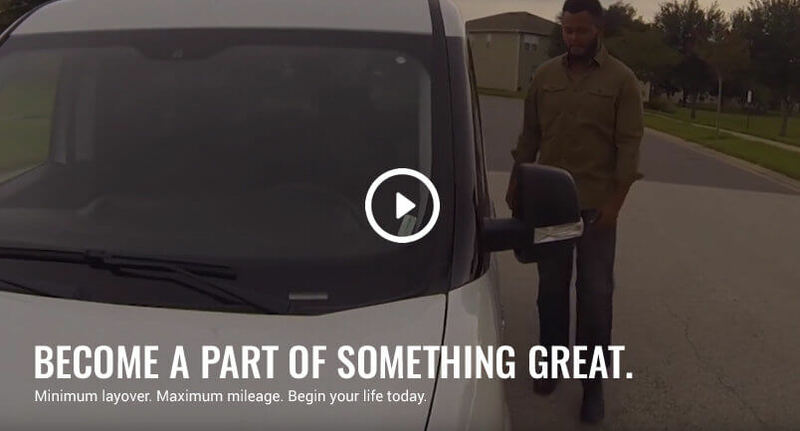 Jung is a member of an expansive group of expedited carriers with a customer base throughout the US and Canada, allowing us to keep you moving…toward a better future. Respect for our contractors is central to our philosophy – they are our partners and are essential to our collective success. Join us now to become part of something bigger! We are a logistics solution provider focused on time-critical, general commodity cargo and logistics services. We are able to help clients increase flexibility and margins through capacity planning and tighten operations. Jung Logistics provides our customers with complete visibility of their transportation supply chain. Our customer dedicated web portal allows them to track shipments. We're going to be upfront with you. Our dispatcher will give you options right away when you call. And if for some unfathomable reason we can't get a job done for you we'll tell you that too. We hate to say no, and will go to any length to make sure we have a satisfactory option available. People are more productive talking to people than machines so that's why we have live dispatch. It's available 24 hours a day, starting at 7AM Monday thru 7PM on Friday, and "on call" dispatchers on the weekends that will call you back immediately after being notified of your call. As part of our high-priority personal approach to doing business we also have personal representation available around the clock Monday through Sunday. There's nothing more nerve-racking than not knowing the whereabouts or as we like to say the "whenabouts" of your delivery. Jung Logistics has automated tracking service to keep you informed of the shipping status for each step along the way. We also have Macropoint tracking available on your most critical or urgent loads. Jung Express maintains an extensive expedited trucking fleet, currently composed of over 24,000 vehicles. 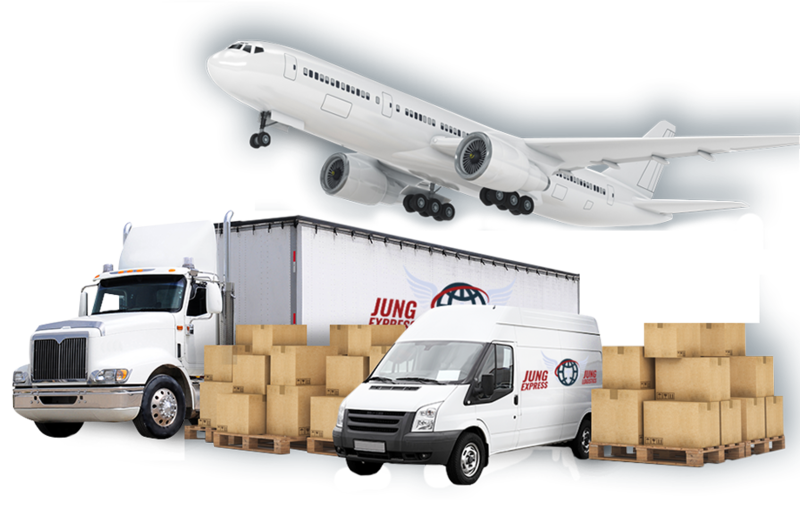 Additionally, Jung Logistics accommodates air cargo charter or air freight shipping loads of all sizes. Talk to one of our live transportation specialists now to handle your pickup and delivery needs from any state to any state nationwide. To meet your every need, we offer a wide variety of vehicle types to match your load size, capacity, and delivery time requirements.